This 4-bedroom, 3-bath ranch in Meridian Ranch is a diamond in the rough. Shows Like NEW. Lowell floor plan with a full, finished basement. Adult-height vanities in all baths, 5-pc master bath. 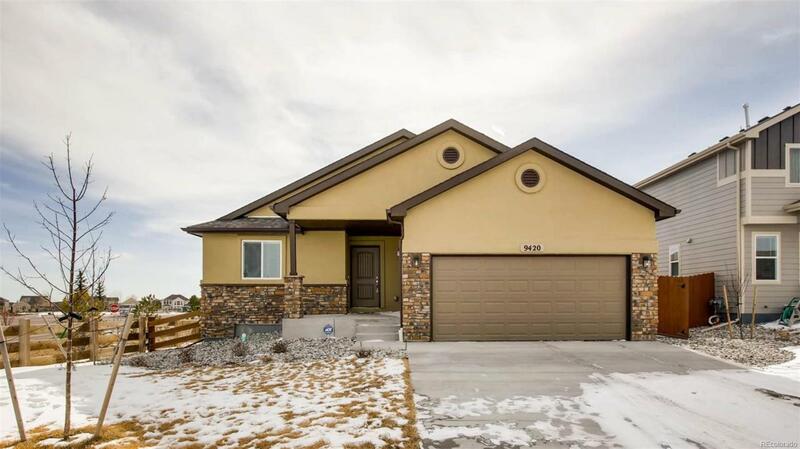 This home features stucco exterior, A/C, slab granite counter-tops, 2-level kitchen island, S/S Appliances, gas range in the kitchen, garden level basement, 2-car garage, sits on a cul-de-sac with amazing mountain views out your back door. This means no neighbors on one side or behind you to block the incredible mountain views!In the very desirable community of Meridian Ranch ~ 2 rec centers with indoor and outdoor pools, walking paths, parks, Antler Creek 18-hole golf course and Creekview Grill, and D-49 schools. Just waiting for the right person to call this gem HOME!